For eight years, public radio stations repeatedly rejected Lea Thau's pitch for a show expanding on the work of the Moth, a nonprofit arts organization dedicated to producing live, nonfiction storytelling events across the country, which Thau was the director of from 2001 to 2010. "Every door was slammed in my face," said Thau, recalling one particularly frustrating response from a radio station executive who told her, "There's enough storytelling on the radio, and there's no room for anything else in the genre." Eventually, the Moth launched its own podcast, giving fans an opportunity to directly download shows online. By 2009, the organization scored a national public radio deal for The Moth Radio Hour, which went on to win a Peabody Award. "That was a formative lesson for me," she said. "If the gatekeepers don't want you, go do it anyway." That DIY attitude is at the heart of Radiotopia, a new collective of eleven independent radio shows, including Thau's new storytelling podcast, Strangers. 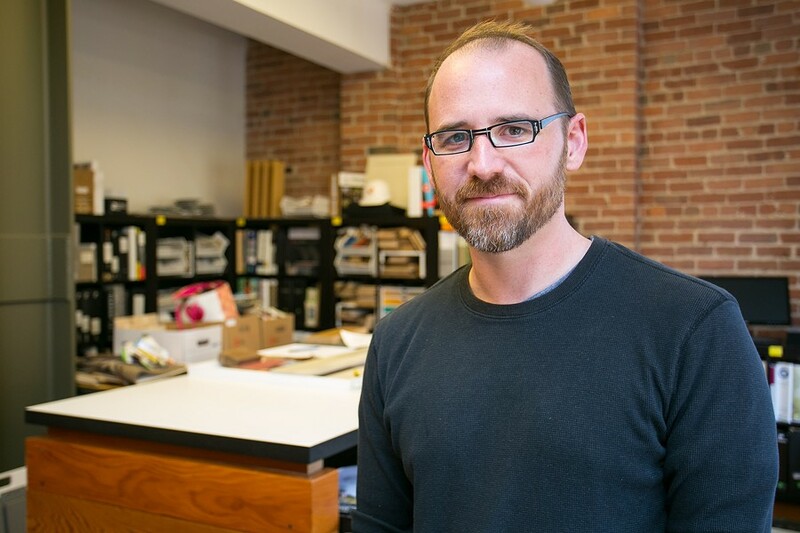 Spearheading the Radiotopia network is Roman Mars, host of 99% Invisible, the hugely popular Oakland-based podcast about design, architecture, and the "99 percent invisible activity that shapes our world." This week, Radiotopia is completing a massive fundraiser through Kickstarter aimed at propelling the collective as a whole and each individual show — a diverse mix of "story-driven" indie podcasts — to a new level of financial sustainability and expanded production. The deadline to donate is Friday. Radiotopia aims to function as a label for high-quality shows that don't fit the traditional public radio broadcast mold and thus struggle to get the funding they need to get off the ground. The collective — a project of online radio platform the Public Radio Exchange (PRX) — enables member podcasts to share editorial and financial resources, as well as listeners. For some, that means turning a dedicated podcast hobby into a financially viable show. "We always wanted to provide people with more resources. 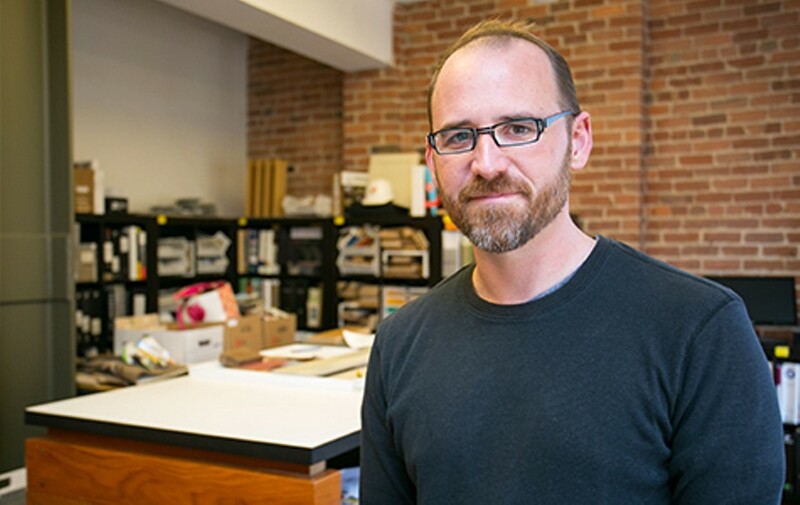 They are criminally underpaid for the work they do," Mars said during a recent interview in the downtown Oakland offices of Arcsine Architecture, a firm that donates space to 99% Invisible. When he and PRX first began discussing the concept for a possible collective, the question was: "Can we give a group of really talented producers a life-changing amount of money?" Mars recalled. In this way, the goal of Radiotopia is to help a select group of indie podcasts adopt business plans modeled after 99% Invisible, which has taken an innovative approach to fundraising and radio production — one that has proven successful and exists largely outside of traditional broadcasting. It was a model born out of necessity. 99% Invisible first launched in September 2010 as a project of KALW in San Francisco and the American Institute of Architects, beginning as a four-and-a-half minute architecture segment for the station's Morning Edition. Mars also released his show online as a podcast, and it quickly found an audience. He soon wanted to expand, but he had difficulty securing funding, in part because the format of his architecture show was so different than traditional radio. In reality, the sound-rich, tightly edited episodes of 99% aren't just of interest to architecture and design wonks. The show explores the built environment through a diverse mix of creative and compelling narratives; for example, some recent shows (which are typically around twenty minutes long) explored the origins of the Ouija board, the strange history of pinball machines, and the cultural impacts of the 1977 blackout in New York City. Despite the fact that it was financially unsustainable (Mars paid reporters nearly all of his earnings while he struggled to pay his own rent and even buy groceries), he continued producing the show. In 2012, he turned to Kickstarter, the crowdfunding platform, to keep 99% Invisible alive and fund an additional staff member. The success was unprecedented: It became the highest-earning journalism project on Kickstarter, attracting more than $170,000 from 5,661 supporters. Mars' initial goal was only $42,000. "The Kickstarter was just out of desperation. I wasn't trying to change the model of public radio," he said. "I was just trying to pay people." A second Kickstarter last year — which raised more than $370,000 from 11,693 backers — allowed Mars to start producing the show weekly and bring on two additional producers. This listener support has also helped him secure critical underwriters and grants. What started as a show produced out of his bedroom in Richmond and then out of a shack in the backyard of his Berkeley hills home now has an office in Oakland, a staff of four, and regular programming. The show has had more than thirty million downloads, and iTunes has consistently ranked it as one of the most popular podcasts in the nation. The idea of Radiotopia is that other podcasts can easily replicate this model of relying on direct support from a lot of listeners and producing a primarily digital product. Independent production also means the shows have more freedom to experiment with content, and they are incentivized to create a show that their fans — not broadcast radio executives ­— will like. "It used to be our only customer was a public radio station," Mars said. "Now, the people who are paying for it are the listeners, not the stations." Mars and PRX officially launched Radiotopia in February with a $200,000 grant from the Knight Foundation, and sponsorship from MailChimp, which supported the collective's first seven shows: Radio Diaries, Fugitive Waves, Theory of Everything, Love + Radio, The Truth, Strangers, and 99% Invisible. Those shows have tripled and quadrupled their downloads since Radiotopia formed, Mars said. This month's Kickstarter is about sustaining the collective and expanding the shows in a variety of ways, including increasing the frequency of episodes, hiring paid staffers, launching new projects, purchasing fresh equipment, and bringing on high-profile reporting partners. Having already surpassed $500,000 — after reaching its initial goal of $250,000 in less than a week — Radiotopia also recently announced that it is adding four new shows to the collective: Criminal, The Heart, The Allusionist, and Mortified. "This has been a side project that we do at night," said Phoebe Judge, host of Criminal, a podcast about crime that she produces with two other public radio journalists. "Radiotopia makes it possible for shows like Criminal to make good work." In addition to critical financial support, Radiotopia provides cross-promotion that will play a big role in growing Criminal's audience, she said. Jake Shapiro, CEO of PRX, said that Radiotopia shows share a number of common attributes, including hosts with distinctive personalities, loyal followings, entrepreneurial attitudes, and nontraditional approaches to telling stories. At its core, Radiotopia is about allowing and encouraging these innovative shows to thrive — and in some cases, providing them with a pathway to public radio stations, he said. PRX is an online platform that also distributes shows, such as The Moth Radio Hour and This American Life, to broadcast stations. "We love public radio, and we love the internet," said Shapiro, "and they both have a lot to learn from each other."